Shane believes in improving your quality of life through fitness, wellness and clean eating. He is passionate about helping you work outside of your comfort zone to achieve results! You will be Inspired. You will be Empowered. You will Transform. Shane began his fitness career as a professional basketball player. His dedication and commitment to his clients’ goals stems from his own experiences with injuries as an athlete. Faced with the set-backs from an ACL injury and knee surgeries in his collegiate and professional career, Shane dug deep and found resilience to come back stronger than ever. He devoted hours every day to his rehab and strength training. It was this experience that shaped his philosophy that everyone can help to prevent injury and increase their quality of life with a consistent active lifestyle and an effective fitness program. Today, Shane is doing what he loves; empowering people to feel happier, stronger and be at their most optimal selves. 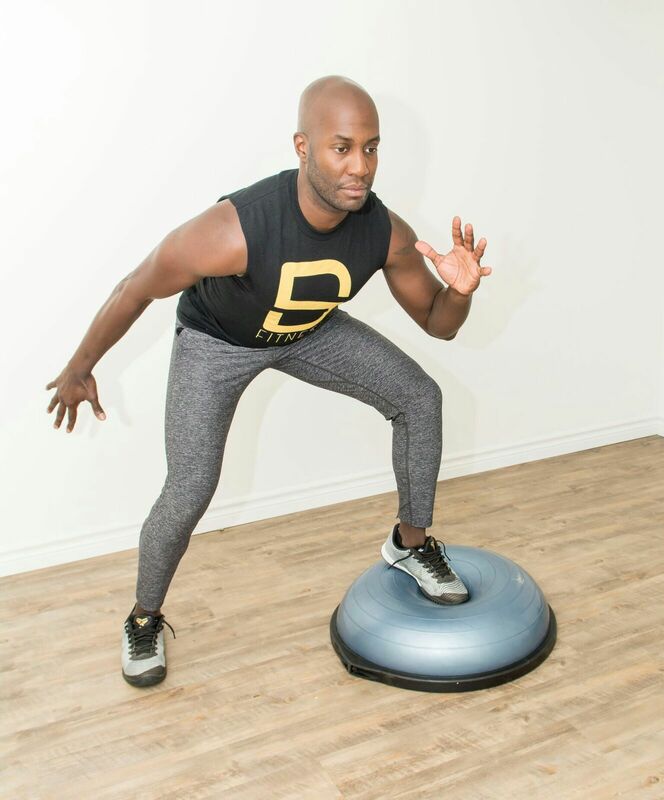 His workouts are based on body resistance training and focus on agility, coordination, core-strength, conditioning, balance, power, and multi-directional dynamic movements. Shane’s website is www.sdtraining.ca and he is also on Instagram. My athletic career began at the age of five. My sister put a basketball in my hands and it was game over. Twenty years later, that process landed me a professional contract in Portugal. The biggest adversity by far that I’ve had to overcome has been injuries. Torn ACL, torn rotator cuff, dislocated shoulder, stress-fractures, pulls and strains. At least I’m battled tested and have recovered well from every last injury. The silver lining is that I have been able to share these experiences with clients that have had similar injuries, and that has been paramount for their own recovery. Through my injuries I learned how to truly dig and grind and get outside of my comfort zone to accomplish my goals. How has working out impacted your life?I don’t workout solely for the purpose of getting in better shape. I don’t workout to look good. I workout cause it makes me tick. It gives me life, energy, peace of mind, and it’s so much fun. When you train hard, you learn more about yourself everyday. You realize that you are UNSTOPPABLE! Training empowers me, it’s my superpower. I train six days a week. My workouts vary from 25 min to two hours. All depends on what the focus is for that day. Don’t be ordinary, it gets you nowhere. Every time you workout you should have an out of body experience. You want to be able to look back at your workout and say to yourself, “Damn, I just CRUSHED that workout!” Ultimate feeling of self worth. Lorne’s Take – When you consider the toll playing basketball at a high level can have on your body, it’s remarkable Shane can still do the stuff he does. I think a big part of this is the belief that you each workout requires a 100% effort and focus or as he puts it “an out of body experience.